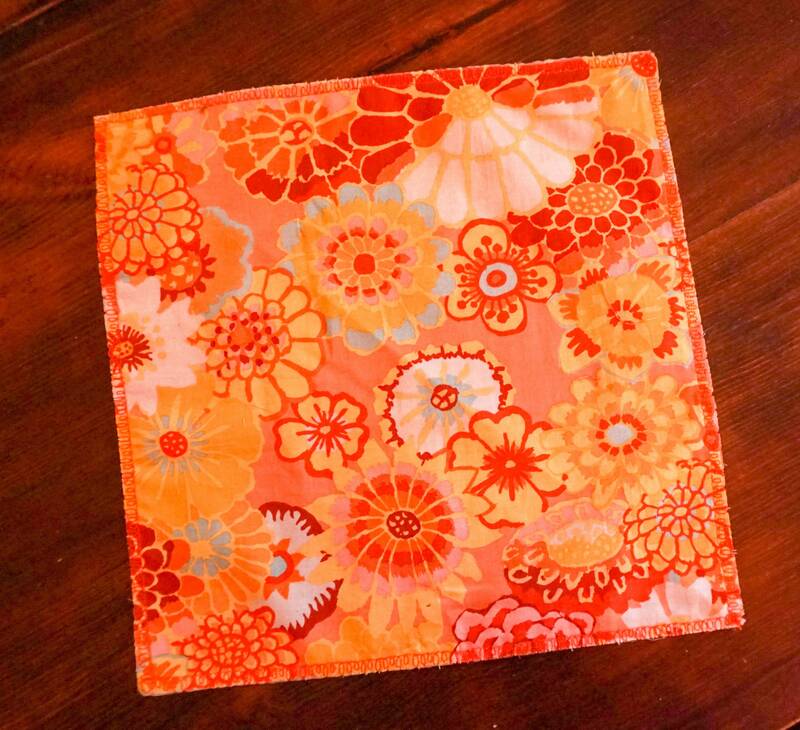 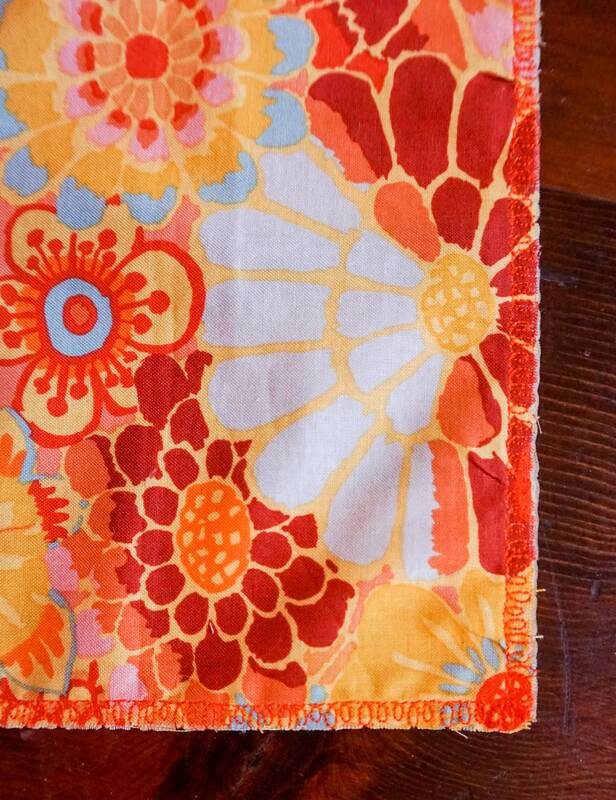 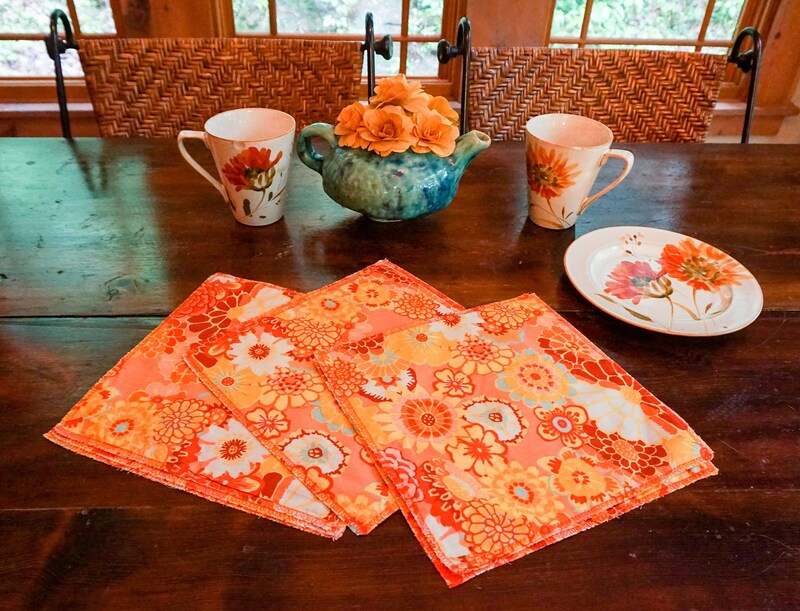 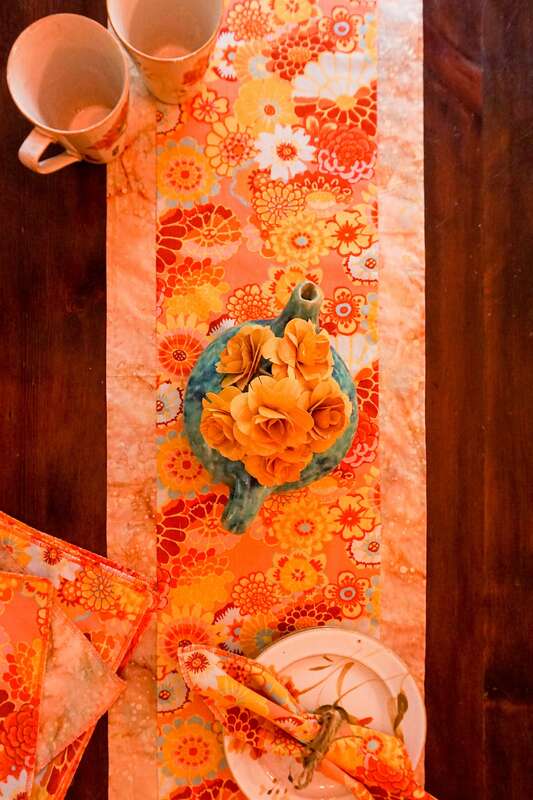 This set of 8 eco-friendly cloth napkins will brighten your boho, shabby chic, cottage, or summer table decor with orange and yellow flowers and aqua accents. 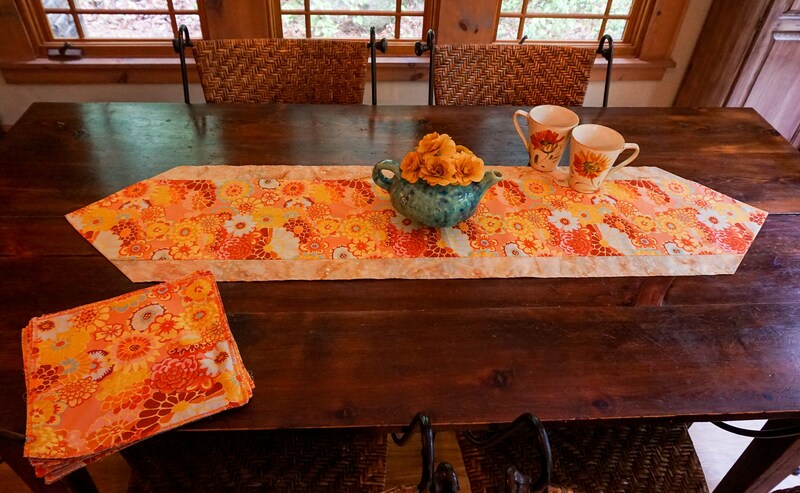 They are made of two layers of coordinating fabrics, sewn with a decorative stitch on the edge that adds detail, beauty, and durability. 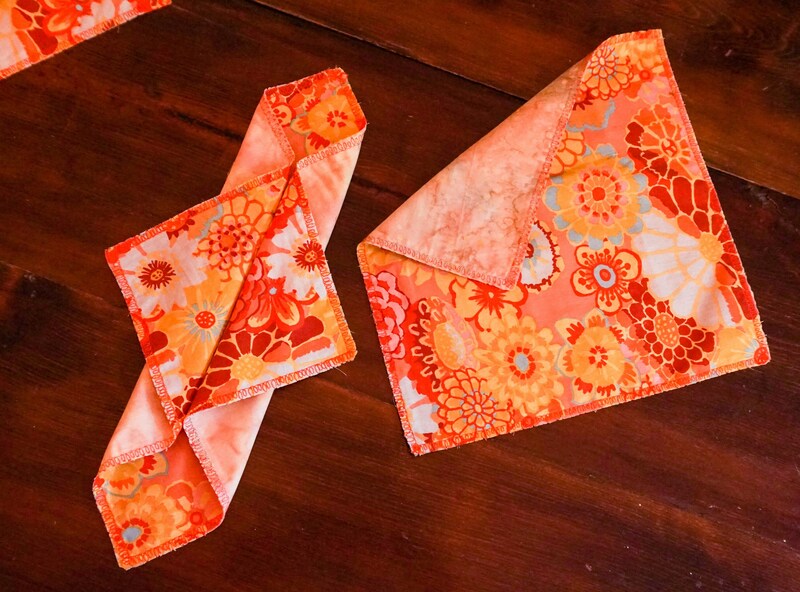 They are reusable and easy to machine wash and dry. 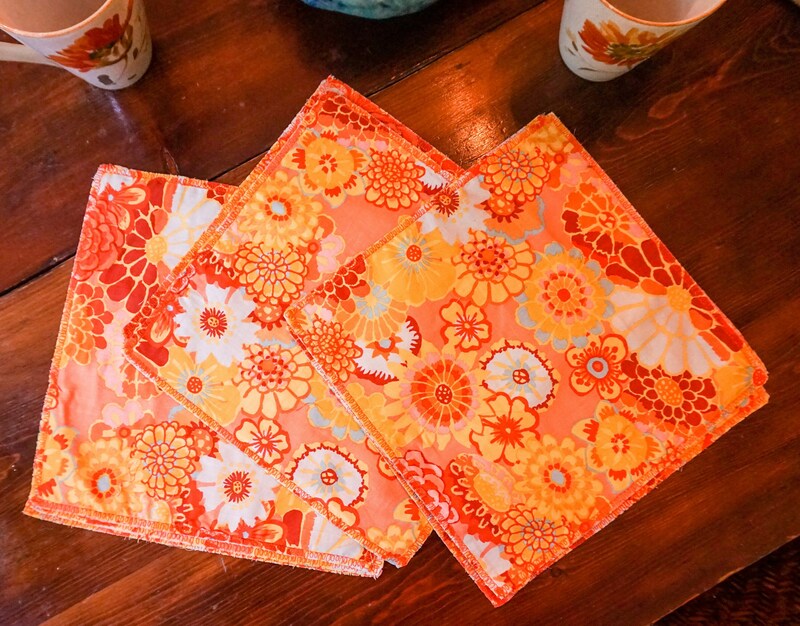 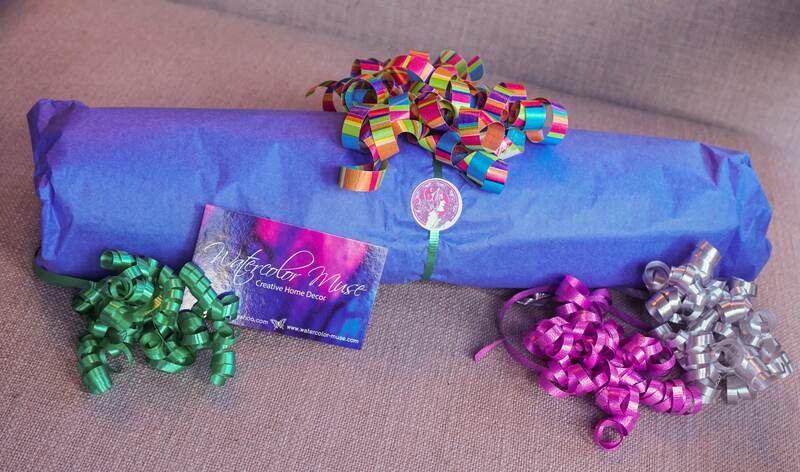 Use the happy flower napkins to brighten your party decor or to make everyday a party!